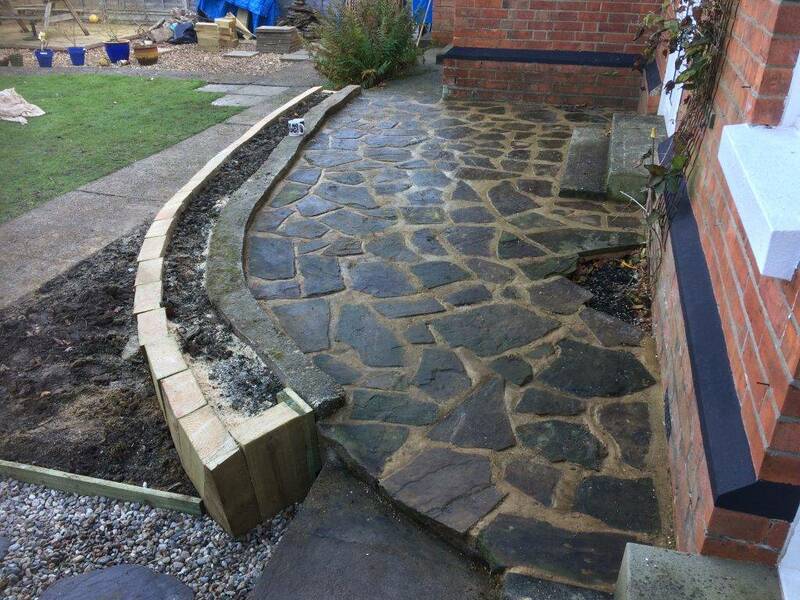 Over in Folkestone we were asked to complete the hard landscaping for a small project . 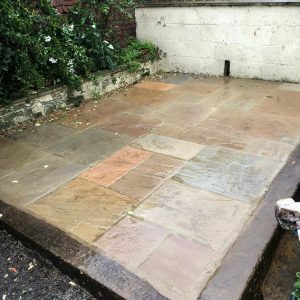 Could we replace the ‘front’ wall with sleepers and use the ‘abandoned’ paving to make a nice patio area outside the front door? We’d love too. 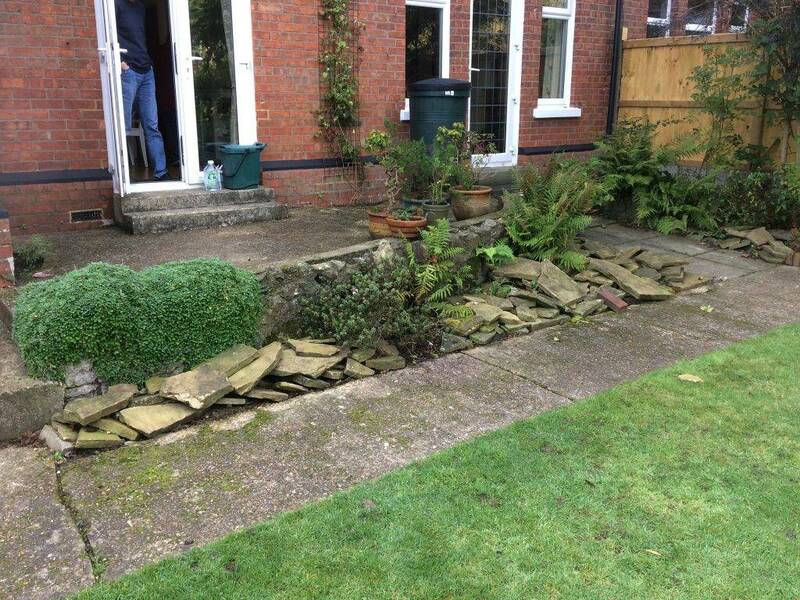 The client was going to sort the planting. Now come on we’d like to do that! 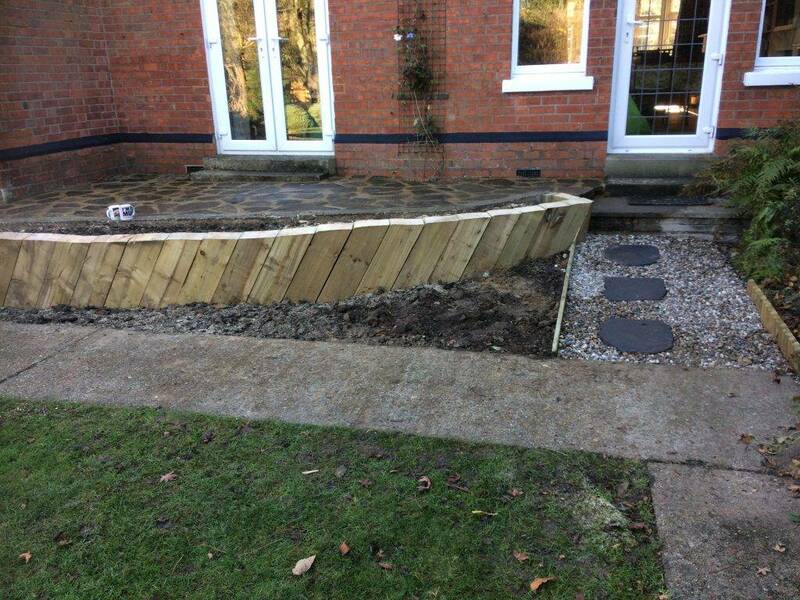 Well it was December when we finished.